Pinterest now drives more sales than Facebook, and it is significantly more product driven. 70% of users on Pinterestsay they use the site to get inspiration on what to buy. It’s also on the fastest growing social media platforms in the world. According to Semiocast, Pinterest now has over 70 million users globally. According to expandedramblings, six months ago, the site had 50 million users. Marketing on this site gets your products seen. Marketing well on this site gets your products sold, and flying off the shelves. I’m going to assume that if you’re reading this post you have some familiarity with the allure of this social platform. It’s demographics skew strongly towards women ( 80% of Pinterest users are women), there’s a lot of sharing that happens on the site, and it’s extremely visual in nature. I kind of think of Pinterest as a new way of flipping through magazines and scrapbooking. You may remember, back in the day, if you’ve ever been involved in planning a wedding, changing home decor, or sharing great fashion trends - you’d flip through stacks and stacks of magazines with multi-coloured post-it notes. Well, Pinterest kind of does away with this - and makes sharing your product pins with customers and their friends incredibly simple. As a business with goods to sell - Pinterest can be a gold mine for your bottom line. You need to know the nuances of the site, though. You need know the best practices, and how to really connect with your market. You don’t want to making The Top 9 Worst Mistakes in Pinterest Marketing (an article I previously wrote). How can you present your products in the best way on Pinterest? What makes a pin get more repins, likes and shares? Here are five ways to use Pinterest to sell products and grow your fanbase. Coupons are hot on Pinterest. The words free, discount, and deal have long been selling staples in marketing success, and they still are. Whether you use store coupons, online coupons or group coupons, deals promoted through Pinterest sell your product. Consumers love the prospect of getting a good deal. Combine that with very visual nature of this social site and you can have a home run for your product sales. Make a coupon board on your business Pinterest account. Pin images of your deal, with details of your offer, and a link back to the specific coupon page on your website. A great coupon offer will get you tons of likes, repins and shares of your offer. What’s better than getting a great deal than sharing that deal with your friends? Coupons on Pinterest make this desire a simple, easy reality. The baby.STEALS business model is based on giving away online discounts on great quality items. It is now a multi-million dollar business. Pinterest has tons of coupon pinners and boards. 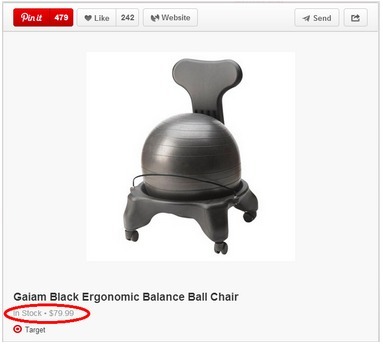 Do a search for “coupons” on Pinterest, and you will find results for a myriad of them. Couponing pinning and repinning on Pinterest has almost become a way of life for some dedicated Pinners. Tip: make sure your coupon pin links back directly to your website offer landing page.This way, when your pin gets shared on the site, your customer will always be able to click your image to link back to your coupon page. With 70 million users on the site, many Pinterest shoppers are looking for your product. To stand out and be found by your eager Pinterest consumer, there are a number of optimization tactics you need to incorporating. 1. Make sure your company username is optimized. Pinterest Business pages let you make your own company URL (so long as it’s not already taken). Be sure to take advantage of this, by making your username clear and reflective of your company. The username is limited to 15 characters, so if your company name fits - use it. If your company name is longer than this limit, create a shortened version that is easy to understand. 2. Include your company keywords in your “About” section. When you are setting up your Business account, be sure to clearly explain who your company is and what you do. This makes it easier for your customer to find you in any search. 3. Include links back to your website. Your ultimate goal of marketing on Pinterest may be to drive traffic back to your website. It’s good for inbound linking, and it’s good for getting clicks into your sales funnel if you have an ecommerce site. Include links to your products in every product pin you post. Include your website in your profile. 5. Use hashtags in your pin descriptions. 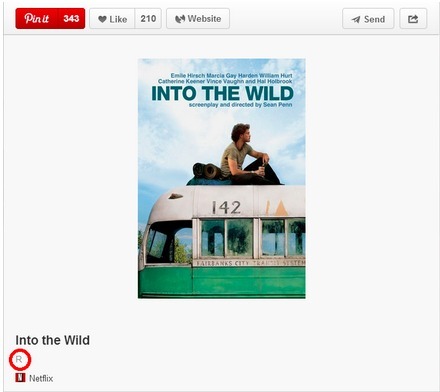 Like Twitter, Tumblr and now Facebook, Pinterest uses hashtags. (A hashtag is basically a word or two behind the # symbol, that categorizes topics.) Include one to three hashtags in your pins. Think outside of the box, too. If you are a party planner, for example, use hashtags that include your location and any particular specialties your are offering with your pins. Pinterest is listening to the needs of their business users, and continuously adding better functionality for you and your business marketing. A major new feature Pinterest added this year is rich pins. Rich pins enable you to include a lot more details about your pins, and this information is automatically updated. For example, the rich pins feature updates prices, product availability, ingredients in a recipe and even movie reviews. It also makes the pins more mobile friendly. The three types of rich pins currently include: product pins, recipe pins, and movie pins. Here are a few examples of companies using the rich pins now. With the rich pins feature, automatically updated information about your product appears in a lighter shade of grey on your pins. You need to apply to Pinterest to get the rich pins, and your website needs to be coded with the required meta tags. Though the feature is still new, my hunch is it’ll catch on quick. Having your products automatically updated save you a lot of time a hassle as a business owner or marketer. Having your product pin optimized for mobile is kind of an essential these days too. Contests on Pinterest create an amazing method to connect with your consumer, and to generate tons of repins, likes and shares. Contests breed excitement, and are a great way to get your products associated with positive events. They can market your brand and your product to an enormous audience on Pinterest. Like coupons, you can host your contests on your website, to drive traffic. Or, you can host contests directly on Pinterest. Pinterest recently tightened up their regulations on “ Pin it to Win it” types of contests. You’re no longer allowed to just ask someone to repin your pin to be entered to win. You need to create contests with a bit more substance. Additionally, you cannot suggest that Pinterest endorses your promotion. The new regulations are really just good practise in running contests anyway. If you use a third party contest app, like Wishpond,we make your contests in keeping with the new regulations. 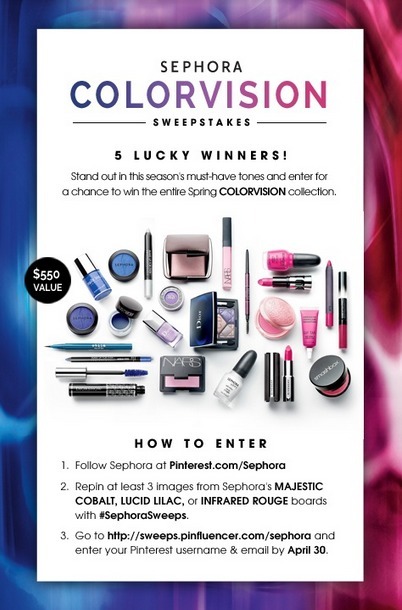 Here is an example of a successful contest hosted by Sephora. This sweepstakes had over 900 repins, 800 likes and 95 comments. Check out the article: 7 Tips for How to Run a Successful Pinterest Contest for more great tips on running contests on Pinterest. The Pin it Button is a Pinterest business feature. You’ve undoubtedly seen these buttons on numerous sites and pages. They’re very simple to set up. You go to the Pin it Button site on Pinterest, and complete the information. You choose the Pin it image you want, submit your URL, paste your image file, and build it. 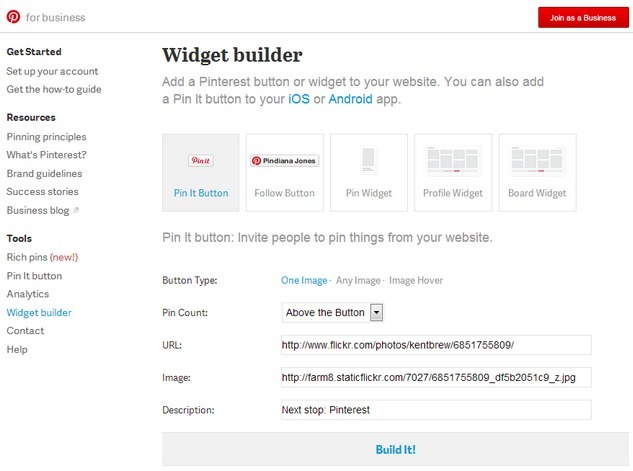 Paste the code for the Pin It widget onto your website. Use Pin It Buttons to put beside all of the images of your products on your site. 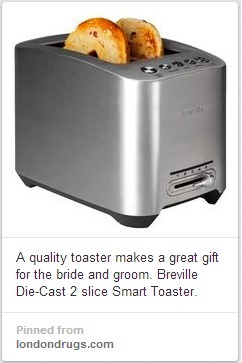 It anyone likes your product there, the button makes it super easy to share on Pinterest. The more your product is pinned to Pinterest, the easier it is get your product seen by tons of other interested consumers. And it doesn’t cost you anything. Using the Pin It button can link back to your website too. According to Pinterest, the buttons create massively increase referral traffic back to your site. 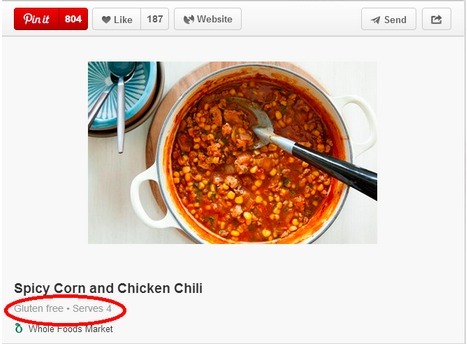 Allrecipes.com, for example, added the Pin It button, and in just three months, people pinned their recipes over 50,000 times, resulting in 139 million views on Pinterest. 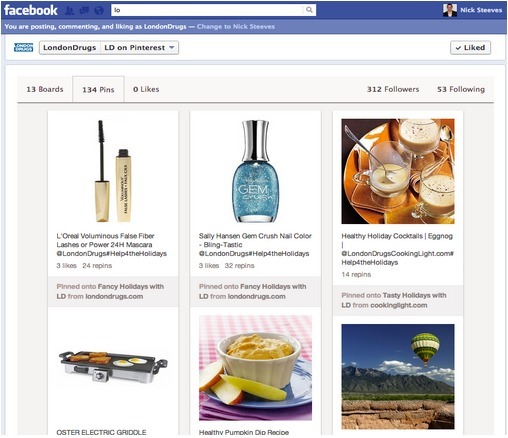 A Pinterest Tab can be added to your Facebook Page or your website. 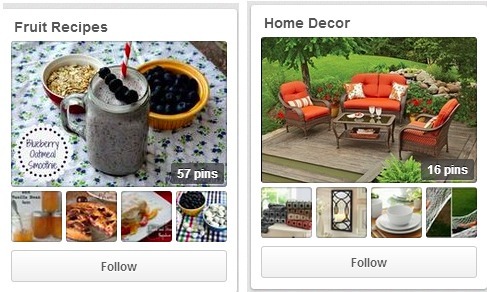 The Pinterest Tab enables you to show all of you Pinterest boards as they appear on your Pinterest account. This means that any pin you make can easily be shared to your Facebook Fans, and your website viewers. A Pinterest Tab encourages fans on your other sites to both view your Pinterest images, and to really get interested in following you on Pinterest too. 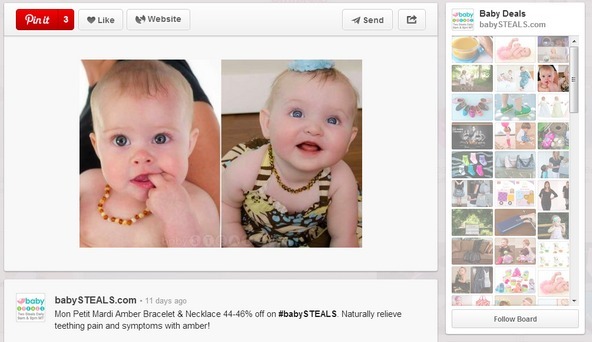 The tabs generates tons more views on your products and gets more shares through Facebook too. Wishpond’s Social Marketing Suite includes really easy to make Pinterest Tabs. The Social Marketing Suite also includes coupon, contest and sweepstakes apps. The motivation to get your products onto Pinterest really is a no-brainer. If you have products or services that the 70 million users worldwide will buy - you need to be marketing your wares on this socially sharing site. Use these tips to get your products found and seen on Pinterest and you’ll have well loved, repinned, shared - and sold - merchandise. What do you think? Do you promote your goods on Pinterest? What successes have you had?